AMD launched their Jaguar platform in the second quarter with the arrival of the Kabini and Temash chips. A year after their launch in 2014, AMD Jaguar platform would be updated with the new arrivals which include the next gen Beema and Mullins APUs. AMD Jaguar architecture has been implemented across various platforms to prove its strength. It powers both the PlayStation 4 and the Xbox One which are next generation consoles. From low power laptops to high quality and high performance notebooks, Jaguar powers it all. In 2014, AMD Jaguar platform would be updated with the introduction of the Beema and Mullins APU. Beema is the successor to the Kabini APU featuring a 28nm architecture, GCN 2.0 cores and HSA enhancements which allow cross sharing the same memory pool across the whole system. The Jaguar cores to be featured inside the Beema APU would be updated over the current Kabini APU featuring better performance and high efficiency as indicated by Fudzilla a few months back. The updated AMD Jaguar architecture would also be featured in Mullins which is the next generation successor to the recently released Temash APU. Temash is an APU boasting an ultra low power design so its expected from the Mullins APU too, to feature a low power design but boosting the performance up through HSA enhancements. The Mullins APU would also feature a SOC design like its predecessor and would be based around a 28nm updated Jaguar architecture with better cores, GCN 2.0 graphics and more. 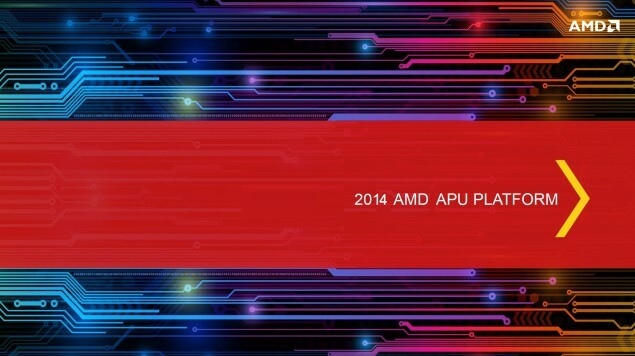 Unfortuantely that’s all we know about the new AMD Jaguar based APU platforms at this moment but more details are expected to hit after 08/08/2013 as indicated by AMD’s Training website course. For more details on AMD’s Kabini and Temash APUs, please visit the respective links here and here.